There are a few differences between Apple’s AirPower and the Samsung Wireless Charger Duo. With the AirPower, you can place your iPhone or Apple Watch anywhere on the pad and it will start charging. With Samsung’s, you have to put your Android phone in the designated phone spot and the watch in its spot too. Apple’s AirPower requires some more difficult engineering that Samsung’s. Some insiders have reported that AirPower has been delayed due to overheating issues. 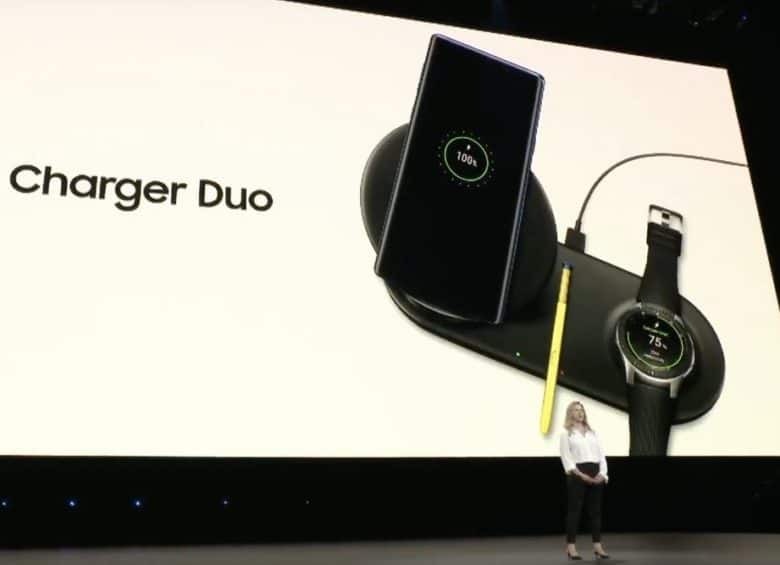 Samsung hasn’t announced pricing or a release date for the Wireless Charger Duo yet, so it’s totally possible that Apple will beat them to market still. Apple usually announces its new iPhone lineup at a keynote in September. Hopefully, we’ll finally get a release date on the AirPower charging mat during the big event.